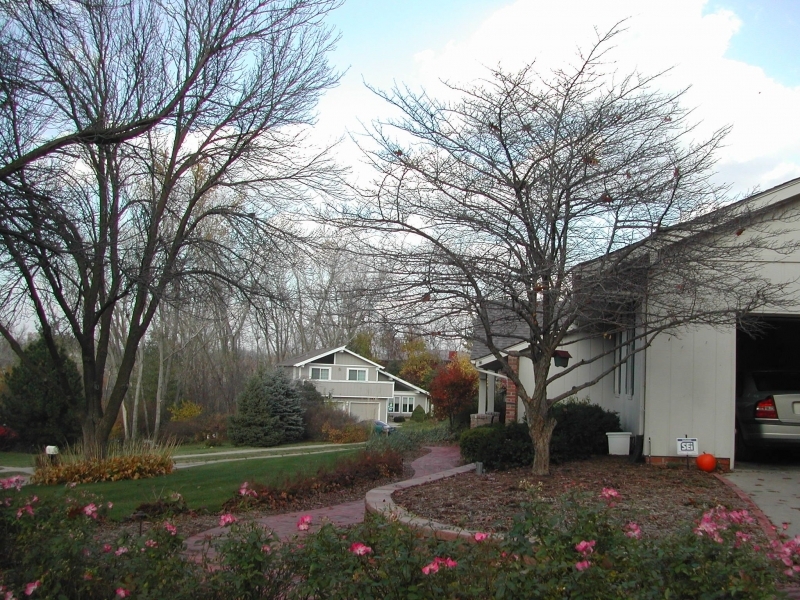 Located on a corner site in a wooded enclave on the outskirts of town, the owners of this home felt the front façade of the house lacked curb appeal and desired a better entry path for visitors who typically parked in the side driveway. 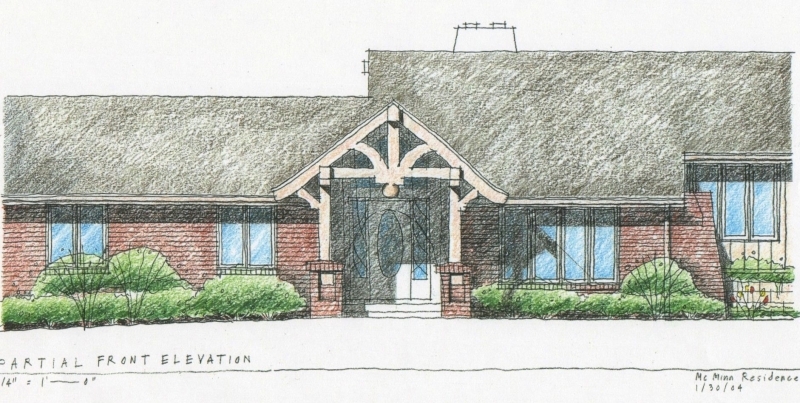 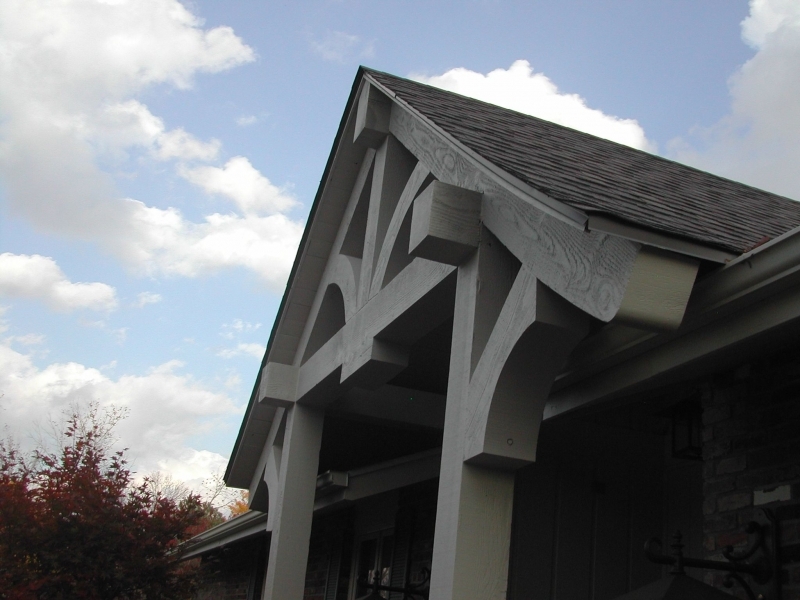 Taking a cue from the development’s name, Country Squire Estates, a new gable entry roof borrows from English vernacular inspired heavy timber elements to provide character, shelter, presence and curb appeal from the street. 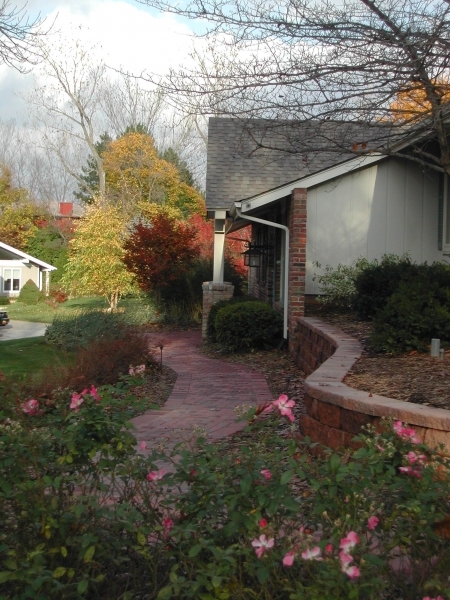 A new, winding brick paved path and landscape beds with split faced masonry retaining walls, new landscaping and new lighting fixtures completes the makeover providing an inviting, identifiable sense of entry. 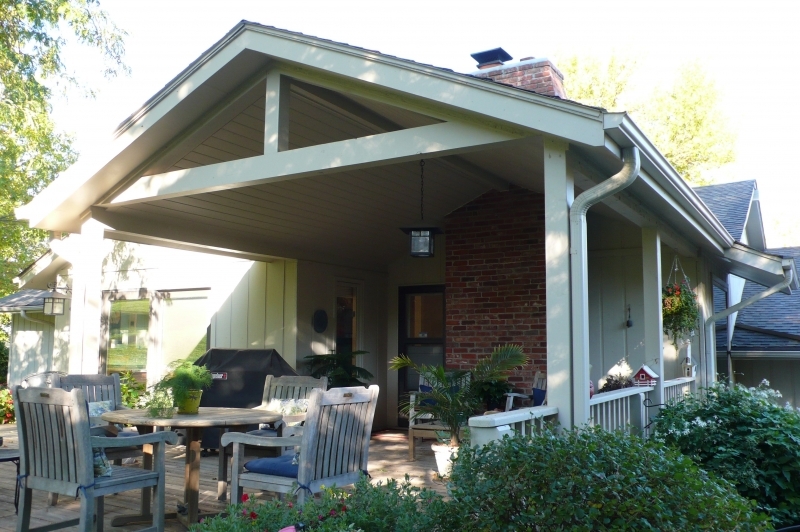 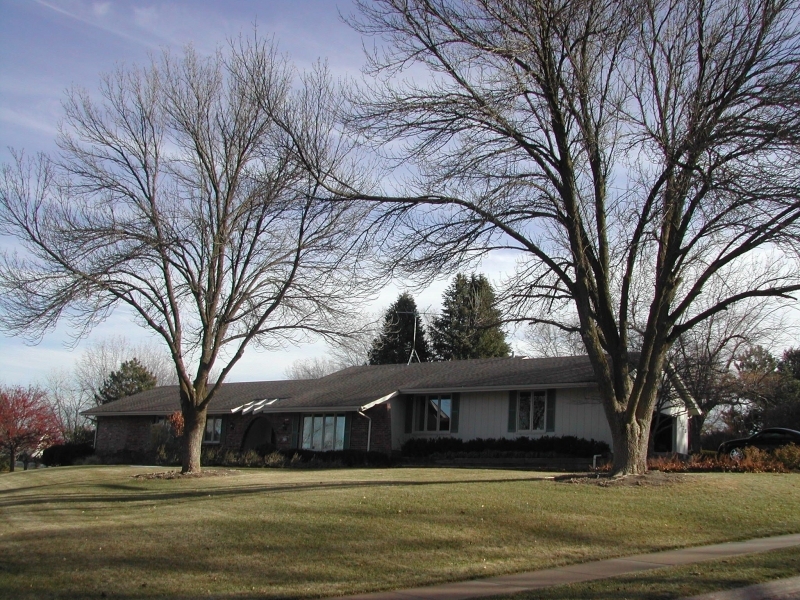 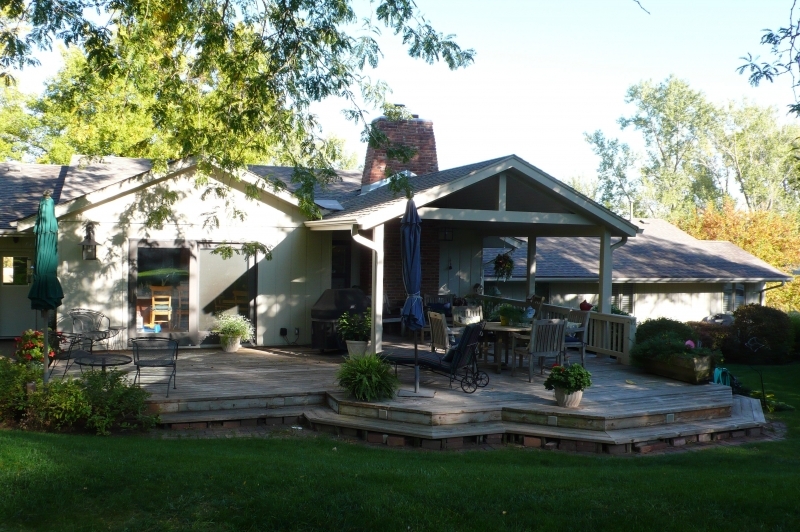 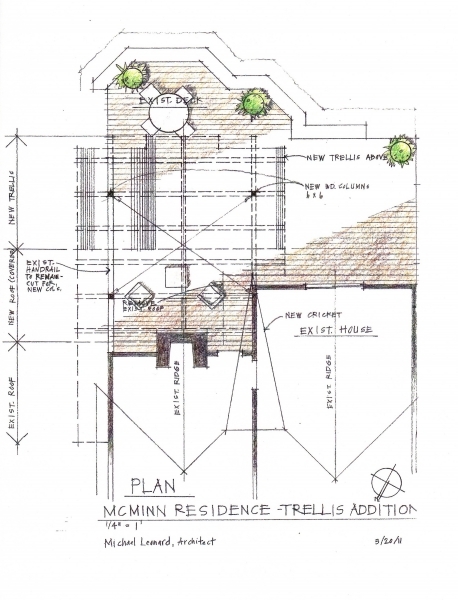 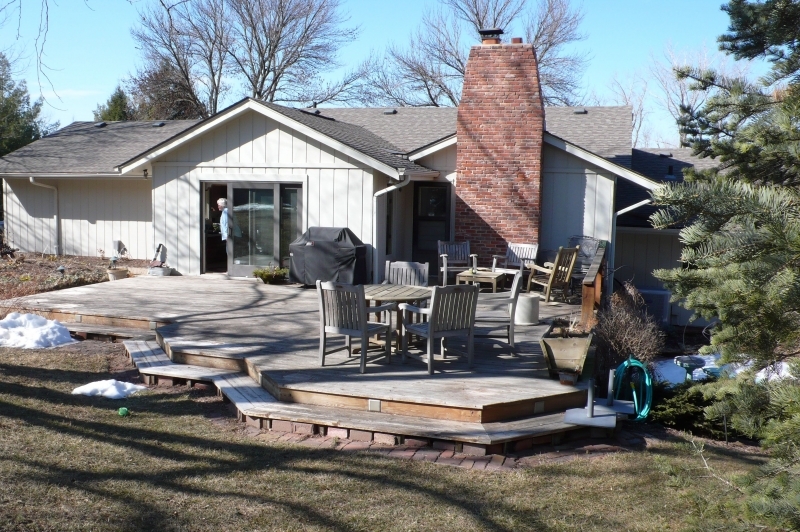 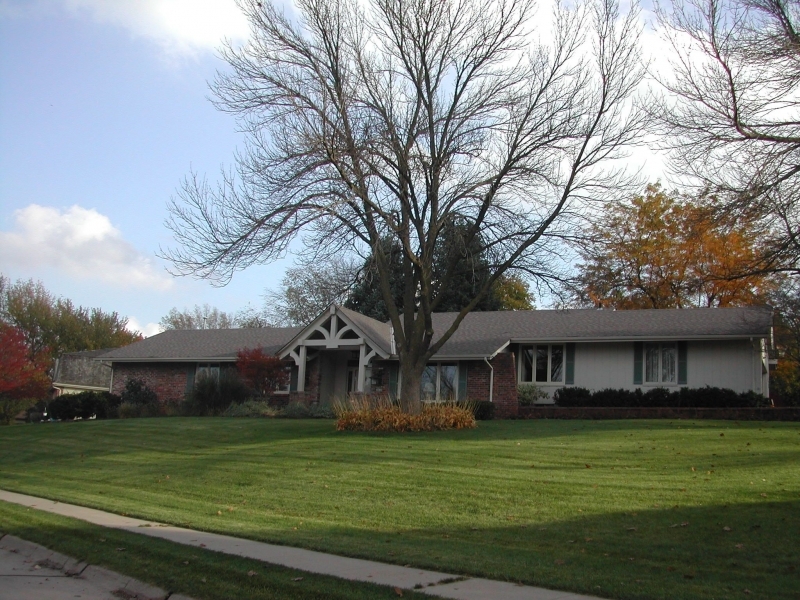 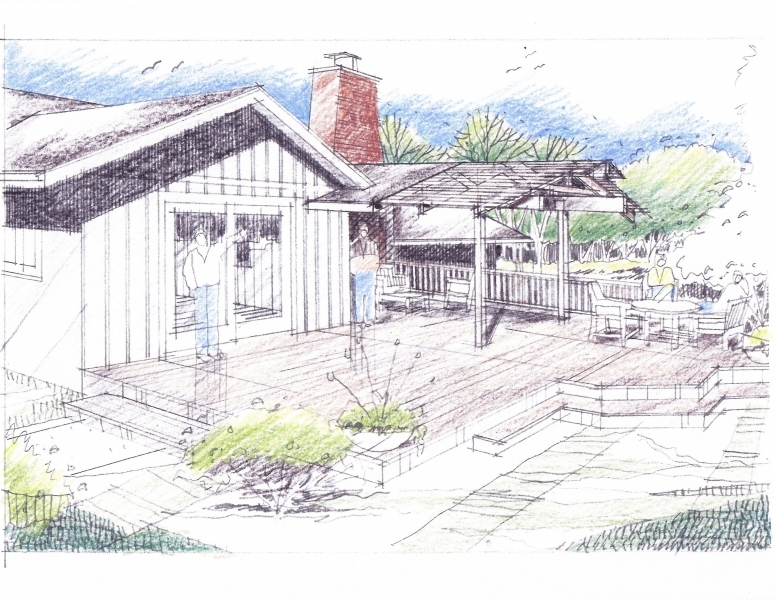 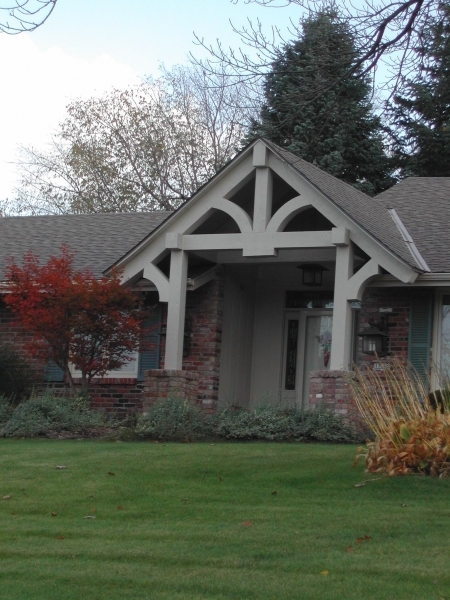 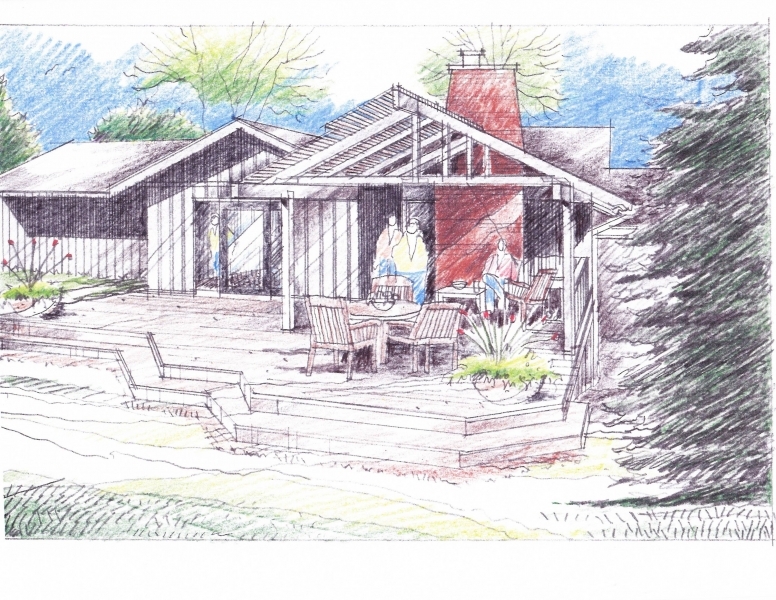 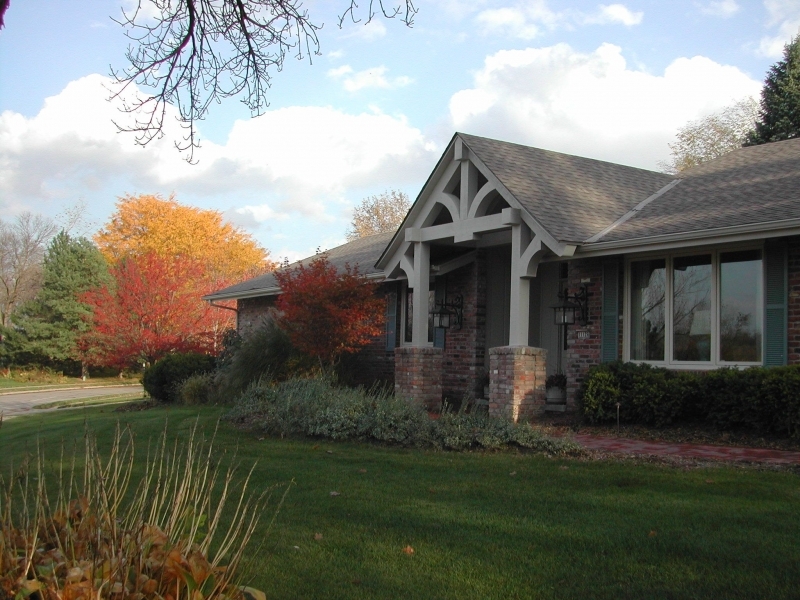 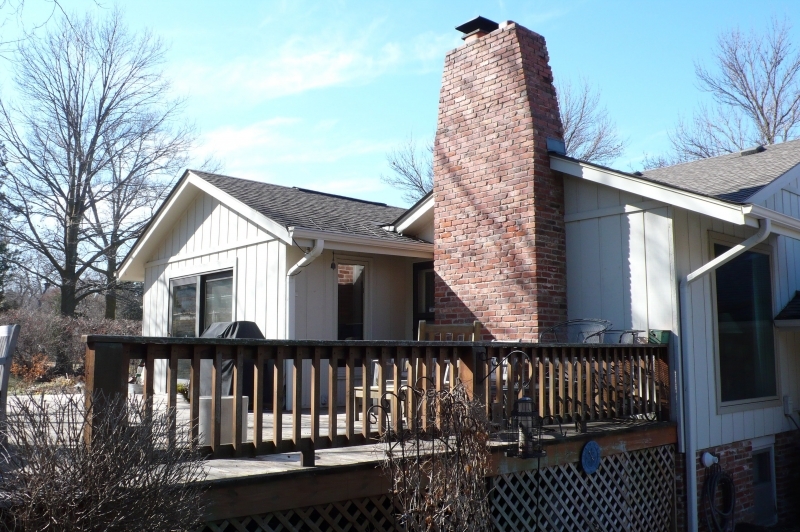 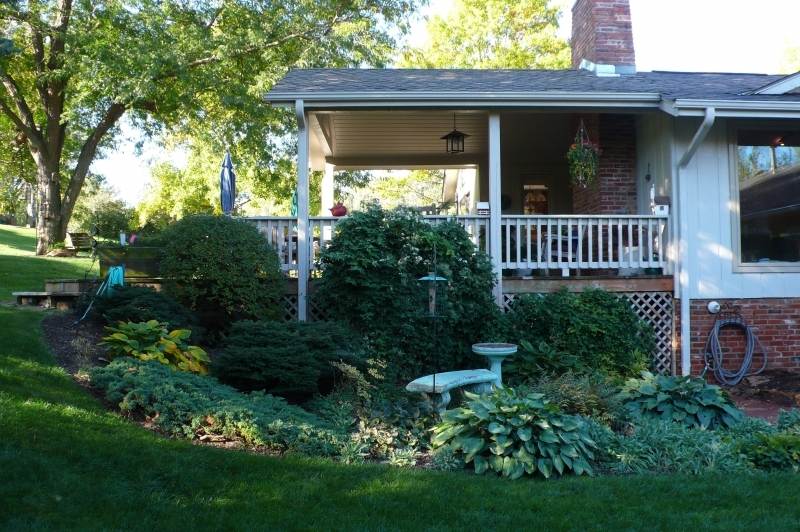 A subsequent project for this house involved designing a roof structure on the back of the house to provide shade and shelter over an existing wood deck.